Tooth fillings are a common method of restoring teeth that have developed a cavity. Many different materials can be used for fillings such as amalgam, composite or gold. Composite fillings are a popular choice among parents and Dr. Nick alike because they match the color of teeth, create a natural appearance and have been proven to be as durable as other materials. Composite fillings can be used to restore decayed, cracked, broken or stained teeth, as well as teeth that have been worn down. Fillings are very common and can be done in a single visit with Dr. Nick. If necessary, anesthesia will be applied. Dr. Nick will remove and clean the decayed portion of the tooth. 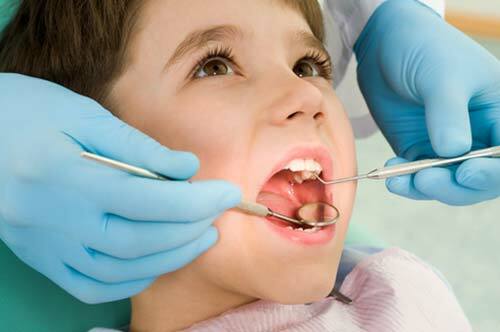 He will then prepare and shape the remaining tooth so that the filling material will have a durable bond to the tooth. The filling will then be shaped and polished so it will look and feel as natural as possible.